Romanian ERGO member Nevo Parudimos Association has more than 5 years of experience in volunteering projects. The organisation has hosted more than 30 volunteers and sent more than 15 volunteers to different European countries.in the last years. A big part of our work is based on local or international volunteers. Our projects promote volunteering at local level as a tool to promote inclusion. Our project “For a kid smile”, which involved 2500 Roma and non-Roma local volunteers, was a finalist in the Erste Stiftung Roma integration projects award, being considered a good practice in the field. The main activities of our international volunteers are: non-formal education and prevention of school dropout in schools from poor neighborhoods of Resita; promotion of volunteering and civic involvement; learning foreign languages and promoting interculturality, tolerance and understanding among young people or activities to increase the involvement of young people in decision-making. 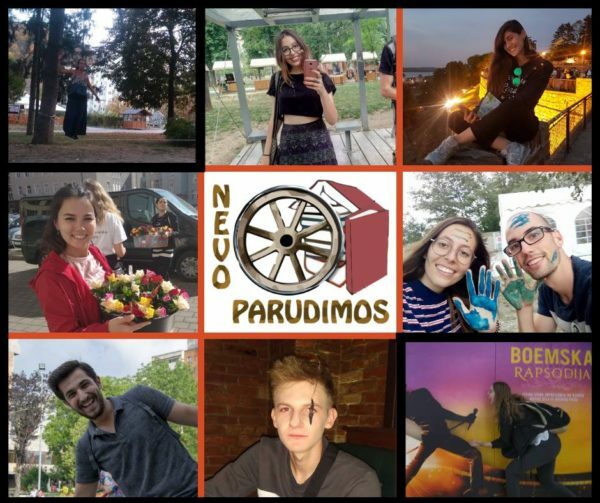 In November 2018 our association opened the Nevo Parudimos Youth Center, a place that is coordinated together with EVS volunteers. The main goal of the center is the development of social, cultural and artistic activities with and for disadvantaged youth (with a focus on Roma youth) in Resita Citi (80.000 inhabitants). The youth center offers volunteers opportunity for self-development and creates a safe space for EVS volunteers to learn and practice non – formal education methods for their professional development.